Since I ran out of my beloved Redken Shampoo and Conditioner (in which you all know I’ve been using for the past 10 years) and I was heading to Mexico where I would need some good hair care products to keep my locks looking healthy in the heat, clorine and salt water. 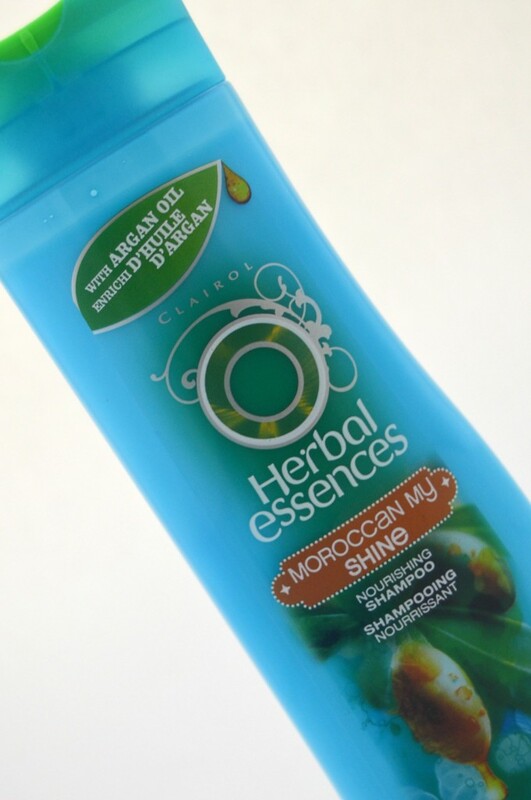 Luckily for me I got the honors of testing out the new Herbal Essences Moroccan My Shine Shampoo and Conditioner which is infused with argan oil and came at the perfect time. 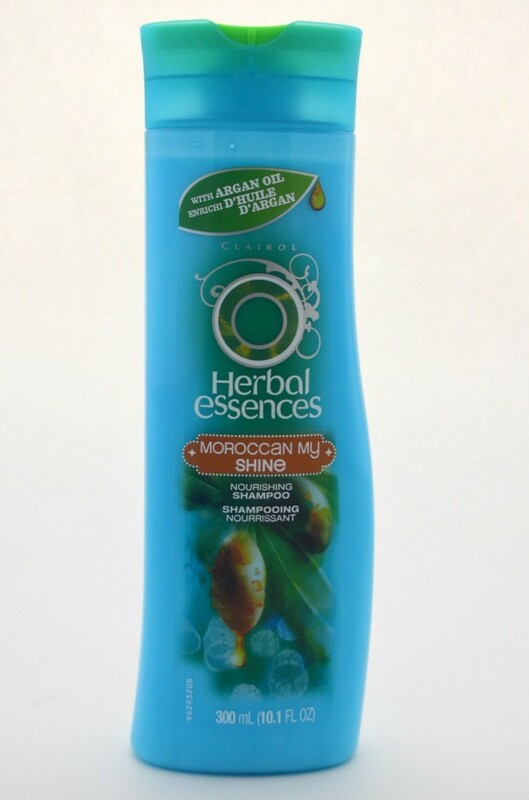 Herbal Essences Moroccan My Shine Collection promises to help revitalize dull and damaged hair to restore your natural glow thanks to its argan oil formula. Argan oil is all the range right now and often comes with an expensive price tag in both skincare products and hair care. It’s extremely nourishing and helps hair looking and feeling soft with a ton of shine. 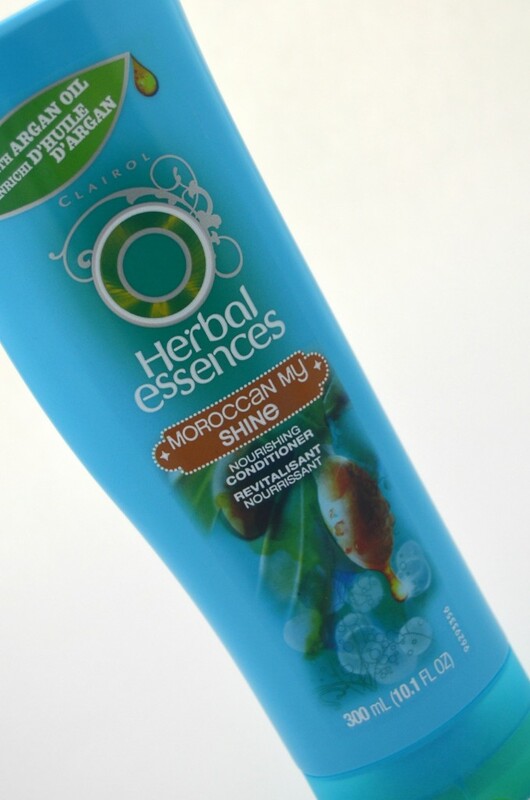 Moroccan My Shine Shampoo comes in a bright, pale blue with neon green push cap lip and no label to peel off in the shower bottle. It contains conditioning ingredients that cleanse hair without stripping its natural oil, allowing it to stay soft, shiny and easy to comb through. 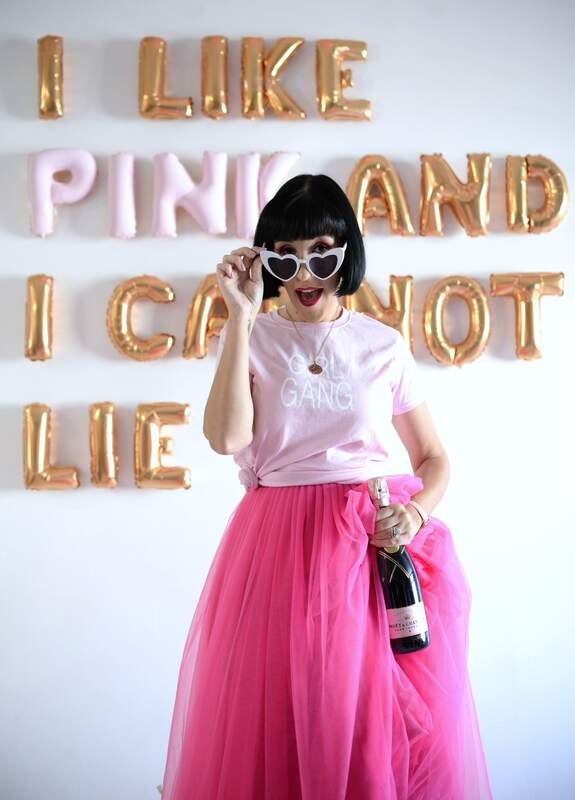 It has a fruity yet floral scent to it, with the strong notes being citrus, apple and berry with a hint of roses and lilies. It has a thick, creamy, white texture to it that lathers up nicely, yet stays light weight, and rinses clean and quickly. It doesn’t leave your hair feeling like it’s got a lot of product in it and on most days I was able to skip the conditioner. Moroccan My Shine Conditioner comes in the same bright, pale blue with neon green push cap lid and no label to peel off in the shower bottle. It has a rich and creamy formula that targets damaged locks, leaving it silky, moisturized, and your fingers to glide through it with ease. 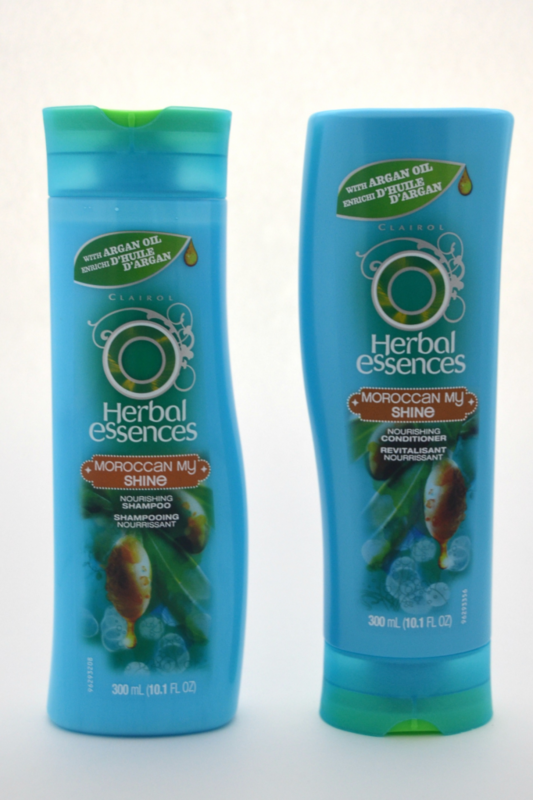 It has the same fruity and floral scent as the shampoo and rinses clean and quickly leaving your hair noticeably smoother and hydrated that lasts throughout the day. 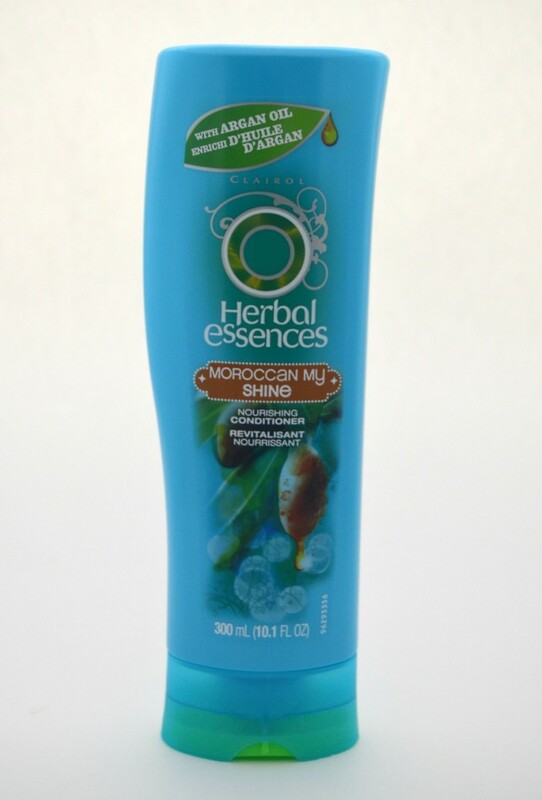 Herbal Essences Moroccan My Shine Shampoo and Conditioner kept my hair silky smooth and hydrated even in the damaging heat and over salted waters of Mexico. I fell in love with both the texture and the scent and looked forward to getting in the shower each morning. It rinsed away clean and left my hair soft to the touch and easy to comb. It retails for $4.29 for 300ml at drugstores and mass retailers now. I’ve been curious about these! I can’t imagine being able to skip the conditioner, I must try these!